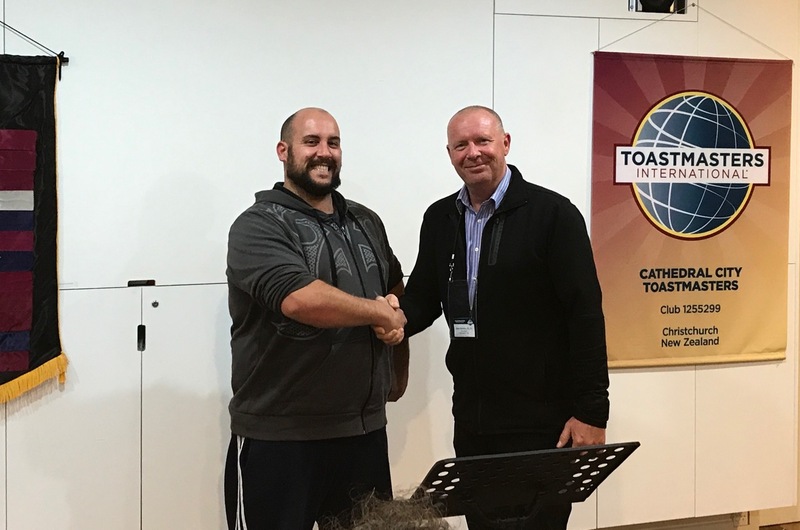 It was a bitter-sweet meeting at Cathedral City Toastmasters tonight, with our current President, Dave Brierley, leaving us for a job opportunity up north. Ex-President JP volunteered to hold the role again until the new committee is elected later in the year. We’ll miss you, Dave! The meeting was run by Sanna, who was being the Toastmaster for the very first time and did an amazing job. Sanna handled every little detail like a pro, and even organised a huge supper to help say goodbye to Dave. The first speaker was Eva, who talked about her love of education and what inspires her the most. 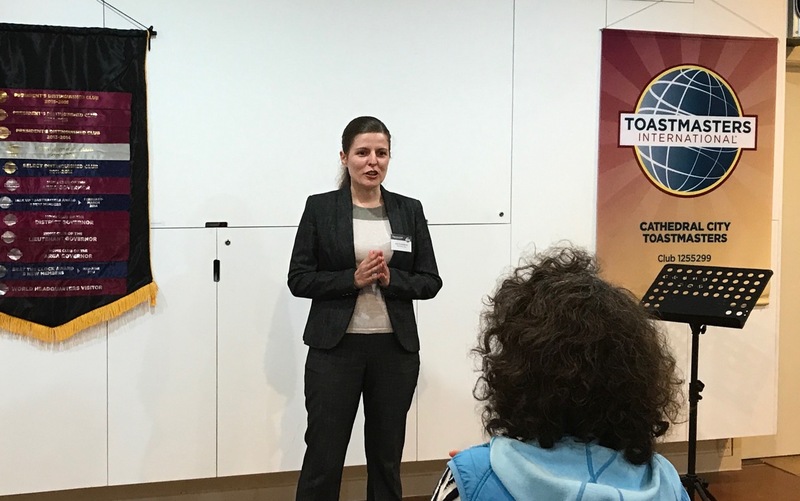 Eva has only completed 2 speeches from the Competent Communicator manual, but she has already moved on to speaking without notes. Very impressive! The second speaker was Ade, who delivered a roast-style speech about her husband, Dave. Ade spoke about how Dave quit smoking and drinking a few years ago, and injected several jokes along the way. 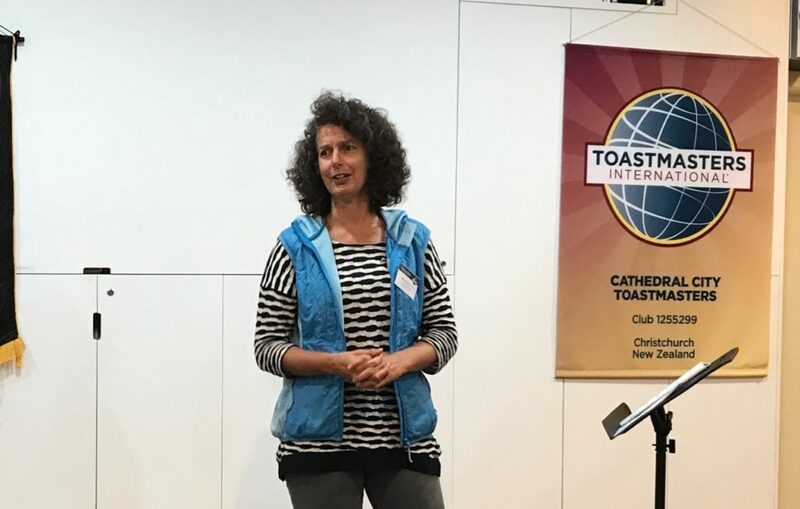 Table topics were handled by Jane, who told audience members ahead of time that they would be called upon and in which order. The challenge was to present a continuous story, with each participant handing over to the next by saying “… and then…”. It was certainly an interesting challenge to be able to think of some ideas before it was your turn to speak, but then having to incorporate those ideas into what the previous person had talked about. After the delicious supper break, we had evaluations from Binaya, Dave Young, Matt, and Nick, and the timer was Nick. See you all next week!